CUPANG,BALANGA CITY-Mr. Ernesto T. Robles Jr., Division Coordinator-Brigada Eskwela, announced Cupang Elementary School included in the Top 5 for Best Brigada Eskwela Implementer that made us aimed high to be number 1 last Thursday, August 18. Cupang Elementary School's teaching and non-teaching staff headed by Dr. Bernadette G. Paraiso, principal, pupils, parents and stakeholders were checking the school premises for maintaining its physical faclities to be more suited for the learners' needs. Cupang, Balanga City-CES' teaching force joined the District Training Workshop in NCBTS-TSNA, IPDP, and CB-PAST together with the district II teaching families held on August 19 at school's covered court. Mrs. Jeanette L. Andales, PSDS, spearheaded the training workshop to re-orient district II school heads and teachers on administration and use of NCBTS-TSNA and IPDP towards professionalizing and improving the quality of personnel for SY 2011-2012. Dr. Leonardo D. Zapanta, OIC to the Office of the ASDS, expound the administration and use of CB-PAST. He gave details on the CB-PAST primary purposes; (1) to ensure support for the continuous professional growth of teachers and (2) to recognize the quality of teacher's accomplishments over a period of time for maintaining the high standrd of work and properly rewarding excellent performance in terms of incentives, awards and promotion. Division Supervisors graced the said activity headed by Mrs. Emelita A. Yumena as Division Coordinator on NCBTS Portfolio. BALANGA CITY-Cupang Elementary School hosted Teachers' General Assembly pioneered by BCPSTEA officers headed by Mrs. Ana Marie I. Garcia, president, held on June 3, 2011 at Cupang Elem. School covered court. Teachers' General Assembly attended by teachers coming from the schools of Division of City of Balanga which makred as the first day of service of every teacher. Rev. Fr. Edilberto Pomer, parish priest of Immaculate Concepcion, celebrated the mass followed by an opening program which formally opens the assembly. Mr. Jessie D. Ferrer, ASDS, together with Dr. Leonardo D. Zapanta, OIC to the Office of the ASDS and the education program supervisors graced the occasion as well as the principals. 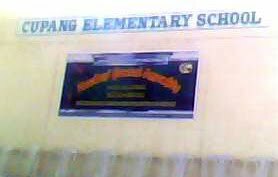 BALANGA CITY-Cupang Elementary School awarded Rank 2 in Search for MODEL SCHOOL (Big School Category) S.Y. 2010-2011 based on its National Achievement Test Result and various accomplishments held at Balanga Elementary School on March 25, 2011. Mrs. Teresita B. Dilig, principal II, received the award together with Mrs. Jeanette L. Andales, PSDS District II.